The true story of an unlikely romance in a Soviet labor camp. Sliff 2018 – And the Winners Are……. A fictional account of the 1958 attack against the Hungarian embassy in Bern. Based on a true story about the aftermath of the 1956 Hungarian revolution. The story of three women - a famous prostitute, her housekeeper and their new maid - living in Budapest of 1910s, whose passionate, bizarre and complex relationship can only lead to one thing: murder. Shortly after the end of World War II, a con man on the run finds himself in a passionate love affair that may well cost him his life. Ernõ Blaskovich lost everything after the Hungarian Revolution of 1848. Kincsem, a magnificent horse gives a purpose of his meaningless, self-destructing life. He gets a chance to gain everything back: revenge, love and fame. Viszkis was one of the most famous bank robbers in Hungary. He drunk whiskey before every robbing. This is his story. In World War I an Austrian-Hungarian-Romanian reconnaissance team try to destroy an Italian communication camp in a suicide mission behind the enemy lines. Christmas 1944. 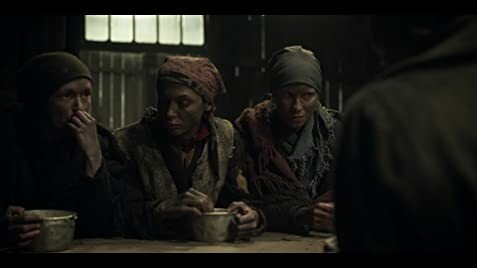 Soviet soldiers invade Hungary and drag every young woman with German origins away from a small village and transport them to a Soviet labor camp where they are forced to work in the coal mines under inhuman conditions. This is where Irén, one of the Hungarian women, meets Rajmund who decides to teach her how to survive. While she is determined to return home to her little daughter and family, history and fate have a different plan: Irén and Rajmund fall in love. Based on 250,000 true stories. 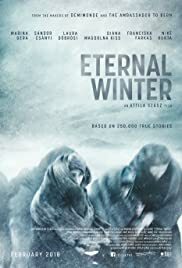 I have just seen the film Eternal Winter at the Raindance Festival in London and was absolutely awestruck by the accomplishment. I was spellbound from beginning to end and want to wish it all the best of luck with distribution and I hope it receives the recognition it deserves. I'll spread the word as much as I possibly can. See it if you get the chance. 5 of 12 people found this review helpful. Was this review helpful to you?